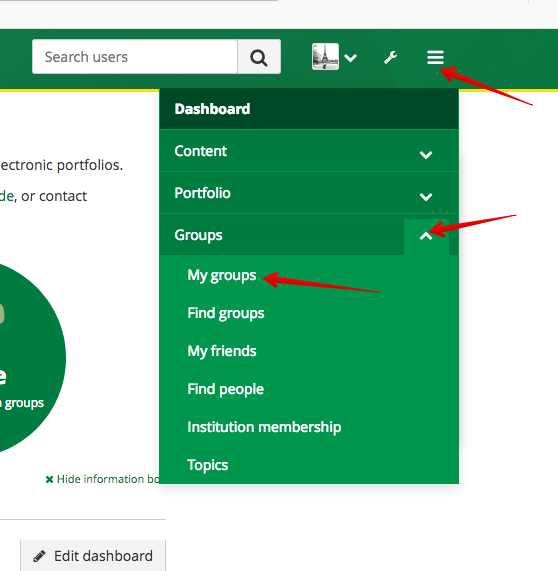 Groups in the ePortfolio system are useful mechanisms to share resources and are most commonly used by eClass course instructors to ensure that all students have access to particular ePortfolio resources or templates. Individually created groups can also be useful to network, become involved with various online community groups, and/or collaborate. 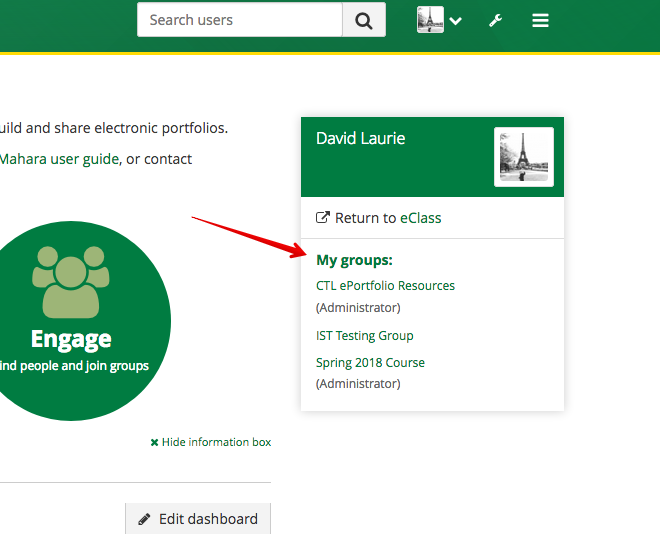 Instructors in eClass have the ability to easily create groups in ePortfolios for their courses which can then be used to share resources. This is a common practice when ePortfolios are being used as a capping excercise and the instructor wants them to follow a common structure to address a series of outcomes. 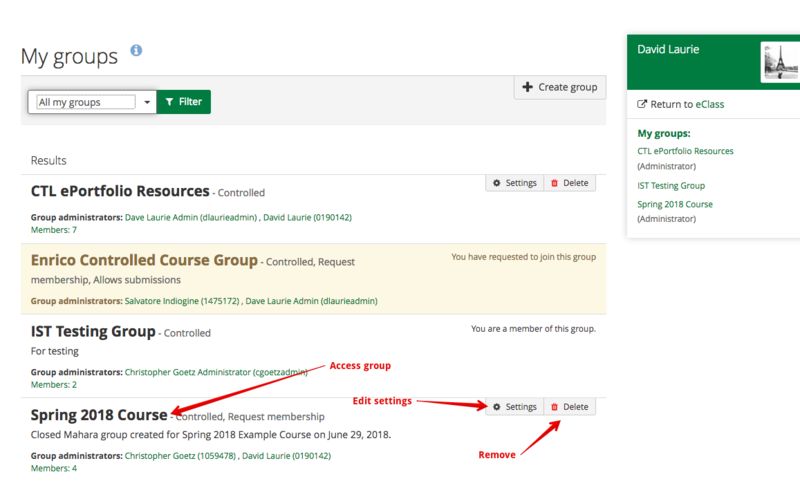 On the full list of groups, users can enter the group itself and if an instructor, edit the settings, or delete the group. Within a group itself, there are a wide range of collaborative features that will not be required in most scenarios. These are summarized on the main page and acessible in the top nav bar. To view shared content templates, students can click on the group's Pages and collections. 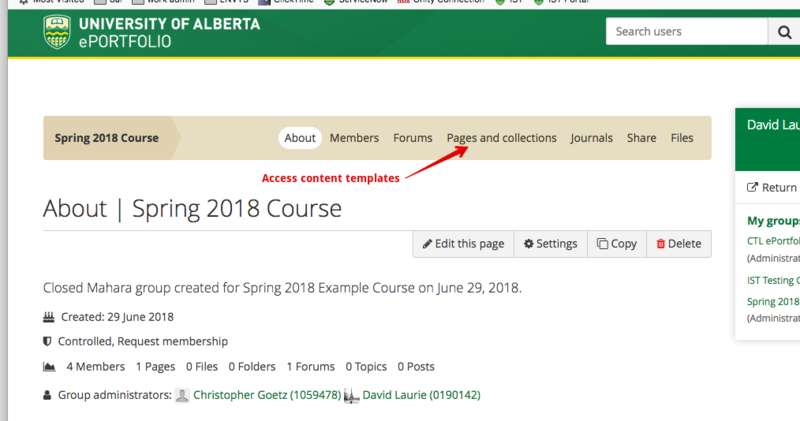 The following article explains the process of copying content templates into personal portfolios: Copying Templates into Your ePortfolio.